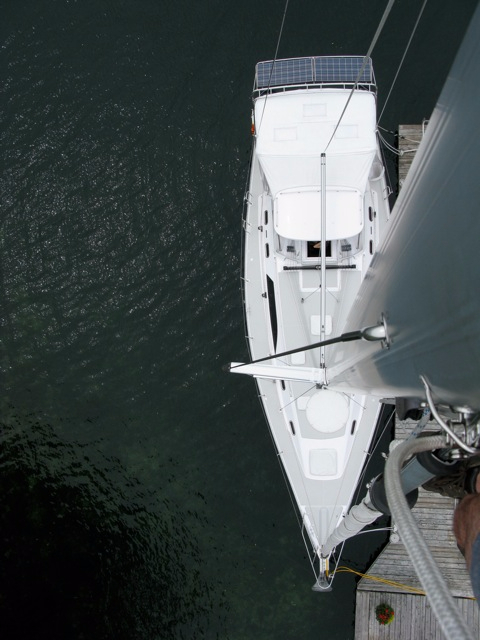 Catalina 445 Stainless Arch. Constructed to the high expectations of the client. A robust arch was built to provide mounting for 400W of solar power, misc antennae for GPS, Wifi, VHF and future wind turbine. 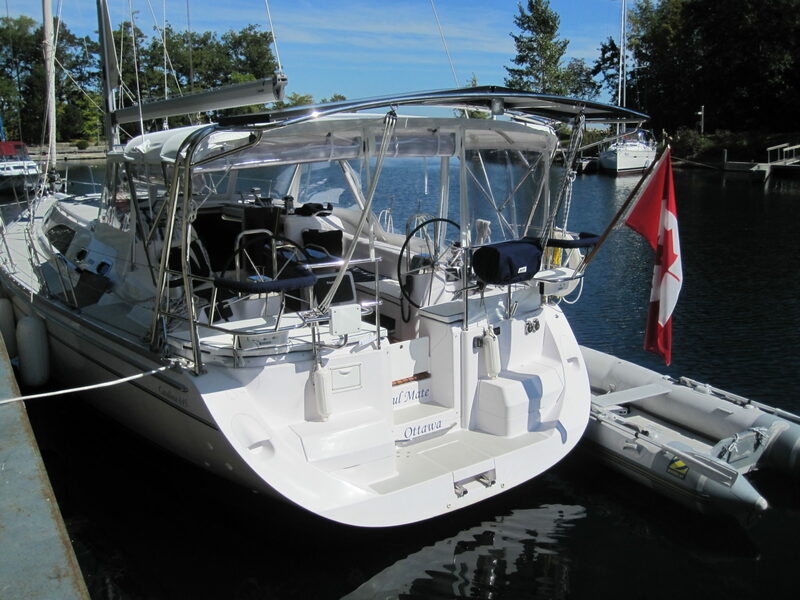 The dinghy lift was fabricated to fit the clients requirements for effortless lifting and storage of his tender. The original Catalina sternrail was integrated to keep the OEM configuration with seating, speakers and motormounts. 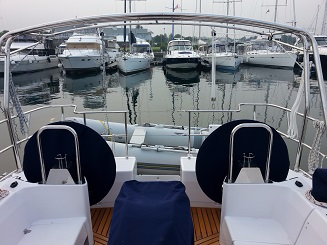 Client has reported that their arch is a must have option for the serious cruiser and makes lifting the dinghy effortless. 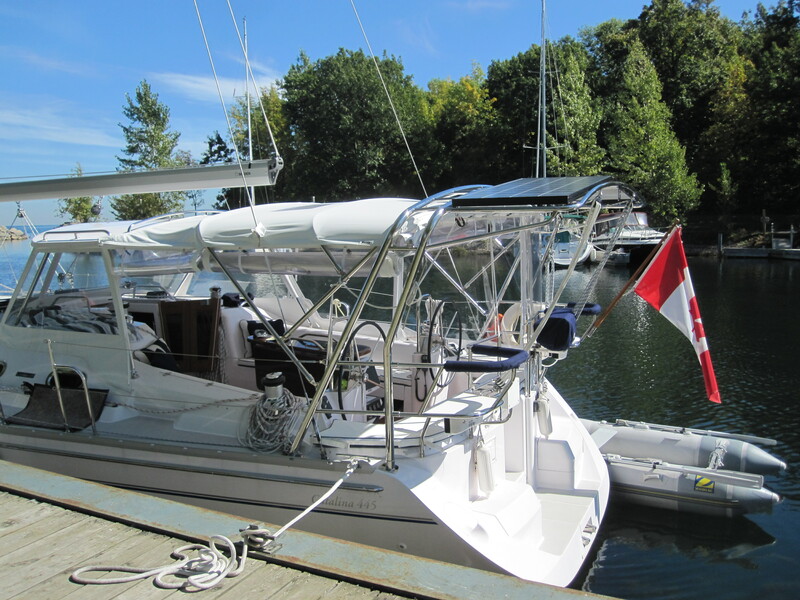 Solar array keeps the battery bank charged with no compromises while on the hook and away from shore power. 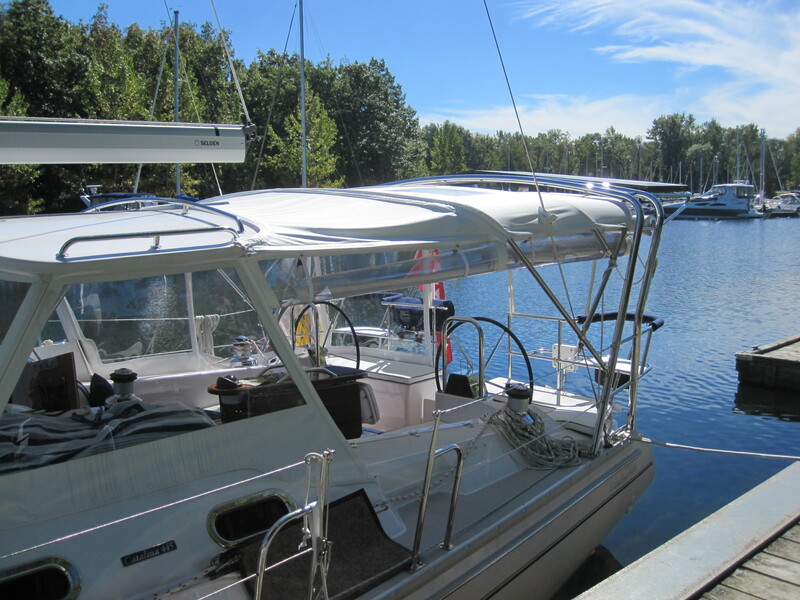 This entry was posted in Arch Design, Marine Hardware and tagged catalina 445, dinghy davit, radar arch, solar arch, solar panels, solar power, sternrail seats. Bookmark the permalink.